Frontotemporal degeneration (FTD) strikes at the heart of who we are, bringing progressive, irreversible changes to behavior, personality, language and movement. AFTD is the nation's leading organization providing help -- and advancing hope -- for all facing FTD. Donor support makes that possible. Let's show the world that love is more powerful than any disease. Share a picture of someone you love, and support our With Love campaign today. Show the world that love is more powerful than any disease. Show your support of AFTD and spread awareness of FTD with this 100% cotton, preshrunk t-shirt! Sizes are unisex and available in youth medium through XXXL. For a donation of $500 or more. 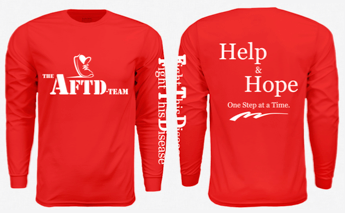 Let everyone know you're a part of the AFTD-Team and fight FTD while wearing this long sleeve, tech-wick shirt! Sizes are unisex and available in small through XL.  Inspired by the day dedicated to love—Valentine’s Day—AFTD’s eight annual With Love campaign is an opportunity for you to honor or remember a loved one impacted by FTD. During the month of February, you can share your story of love, spread FTD awareness and raise funds to support AFTD’s mission simply by creating a fundraiser or donating. Over the past seven years, this campaign has raised more than $392,000 to fight this disease. I am helping to support The Association for Frontotemporal Degeneration (AFTD). This is an important cause and I’d really appreciate your help. Please spread the word and/or make a donation. Thank you so much! I just made a donation to "The Association for Frontotemporal Degeneration (AFTD)." Please help me spread the word about this cause or make a donation yourself. Your generous donation goes directly to the PayPal account of The Association for Frontotemporal Degeneration (AFTD), less PayPal processing fees. GivingGrid.com does not take a fee from The Association for Frontotemporal Degeneration (AFTD). It's free to them.You do not need a PayPal account to donate. Please help a little more to support GivingGrid's operating expenses and keep the service free to The Association for Frontotemporal Degeneration (AFTD). Why? Unlike most other services, we don't charge The Association for Frontotemporal Degeneration (AFTD) any fees. It's free to them.